Her passion for the fashion industry and her dedication to expand her knowledge in the field led Karie to pursue the MA Fashion Retail Management at LCF. After graduating in 2017, Karie went back to her hometown in Hong Kong and started taking her first steps into the industry as a retail management trainee for the French brand CELINE. Why did you decide to study the MA Fashion Retail Management? After graduating from The Hong Kong Polytechnic University with a Degree in Fashion Retailing I wanted to take a more in-depth look at the world’s fashion cultures. I also wanted to learn how the fashion retailers operate in other places and experience what would be most useful for the future development of my career. This course provided us with many opportunities to interact with the industry, like attending Retail Design Expo, visiting the Mulberry Factory and participating in various panel discussions. These opportunities not only strengthened my adaptability and professional networking skills, but also improved my understanding of the retail business in respect to professional behaviour. What was the biggest lesson you learned during your time at LCF? 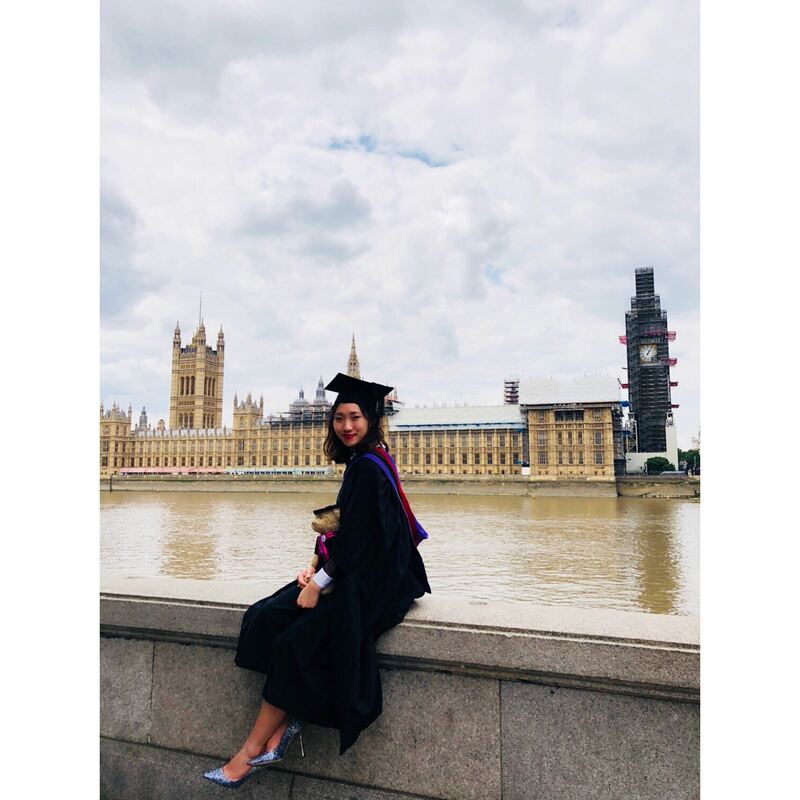 "Studying at LCF encouraged my critical thinking and cultivated my ability to deal with a wide range of contemporary issues in retail, from both European and global perspectives, such as omni-channel and experiential retailing." Tell us a bit about your Masters project: Which topic did you explore? Wearable technology has become more readily available and widespread in the market; smartwatches are also marketed as luxury accessories than solely a functional digital device, like the Apple Watch Hermès. My research is related to luxury fashion wearable technology and it examined consumer attitudes and purchase intentions towards using these luxury fashion smartwatches. Did you receive any piece of advice from a lecturer that really impacted you? "Our course leader Bethan Alexander was always a source of great advice through my year of study at LCF. Her passion about education and academia always remind me that successful people never stop learning." I recognise my enthusiasm in luxury fashion and store operation, so my biggest ambition is to become a manager in retail and brand management. To achieve this, I am ready to start my career by working on the retail floor in order to acquire a true understanding of the issues that front-line staff are facing. What advice would you give to potential students who would like to enrol at this MA? "Retail is a combination of arts and science. If you aspire to develop your career in the field of fashion retail, it would be great to acquire more knowledge of fashion and retail. Be ready for various industry participations after you enrol at this course - you will be inspired!"